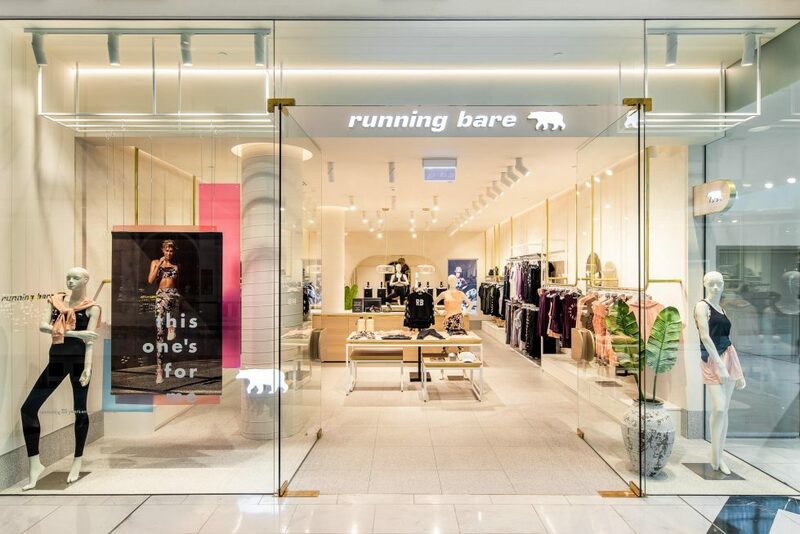 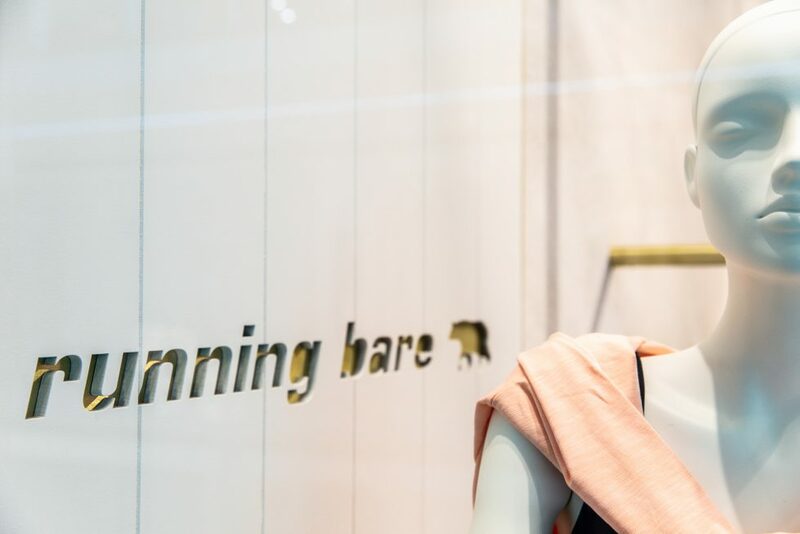 Running Bare have been empowering women since 1983, giving fitness minded, feminine, fashion-forward females the self-belief and confidence to look good and feel great. 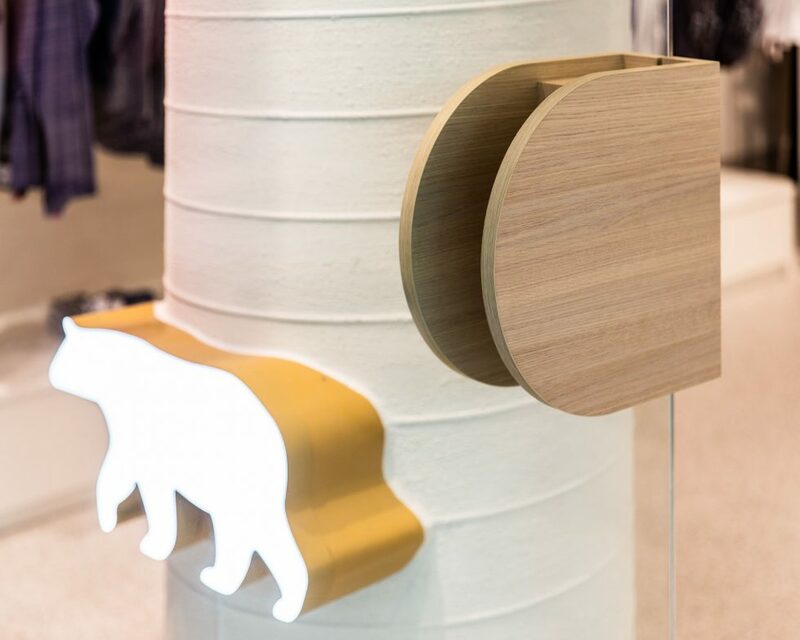 At Design Clarity, we are proud of our collaboration with the brand over the past few years. 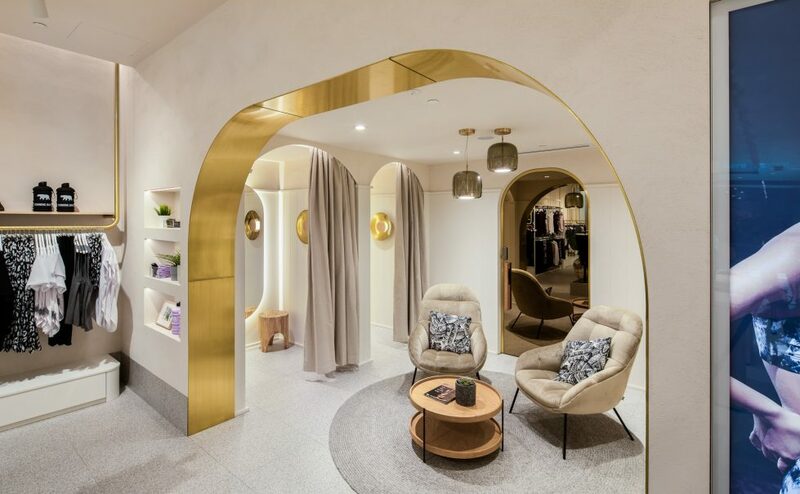 This next generation store design creates a “premium” vibe while infusing a comfortable and homely feel. 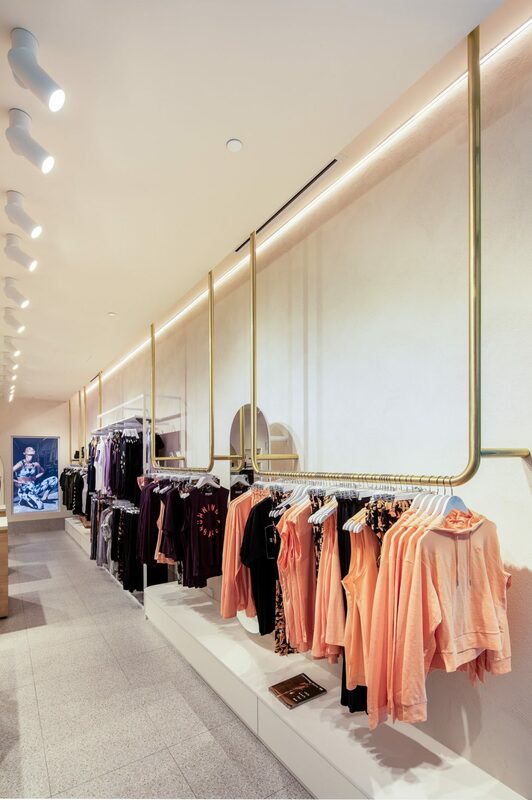 We used raw materials such as terrazzo and concrete to create a minimalist backdrop for the brand’s dynamic products, expressive colourways, prints and patterns. 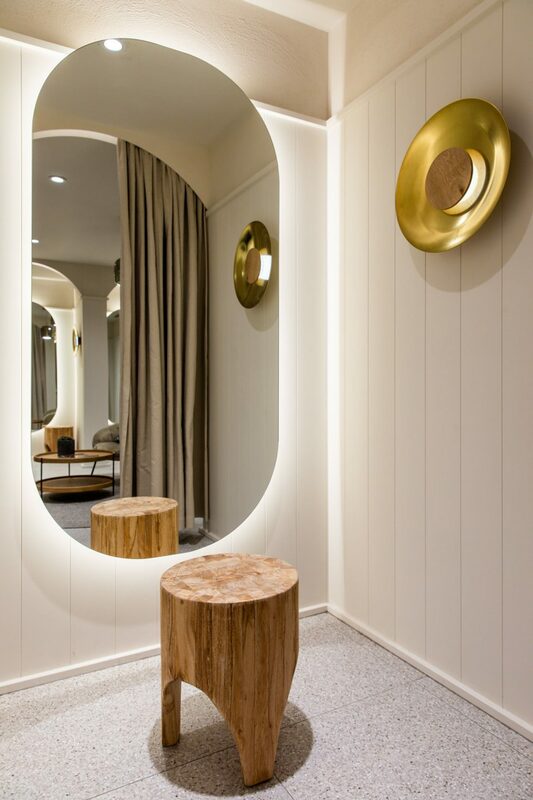 Minimal cool whites and soft grey terrazzo-look floor tiles set the scene for a calm palette. 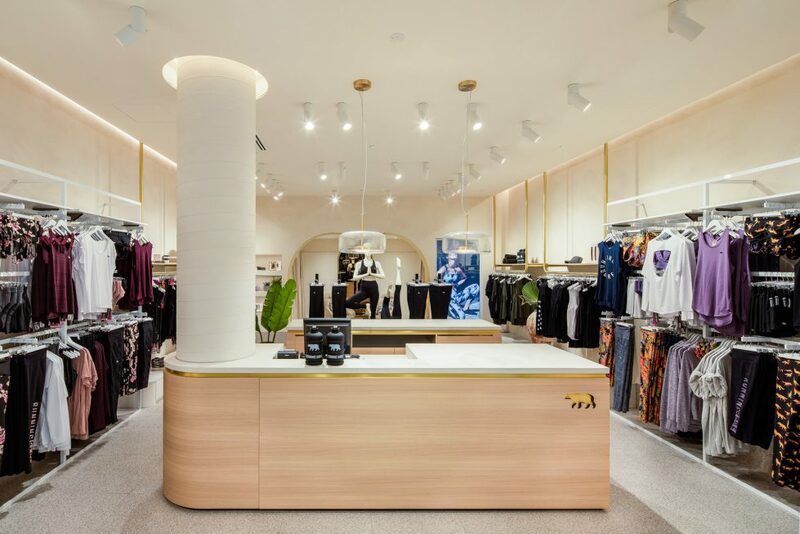 Oak timbers, weatherboard cladding & greenery keep it coastal cool and relevant to the Bondi born Aussie brand. 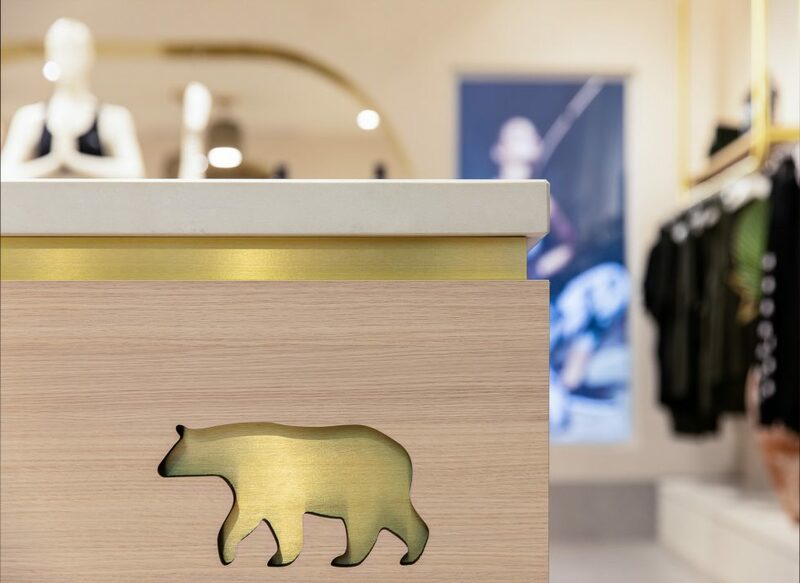 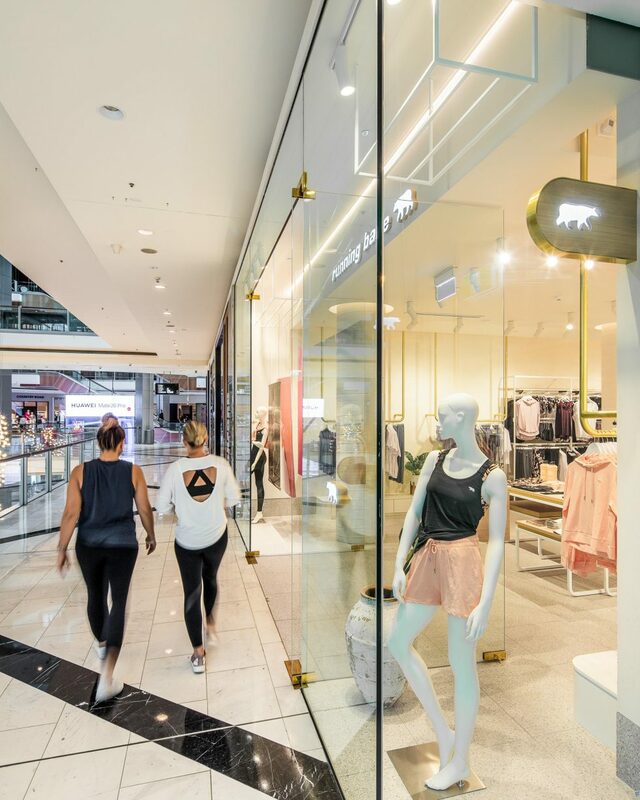 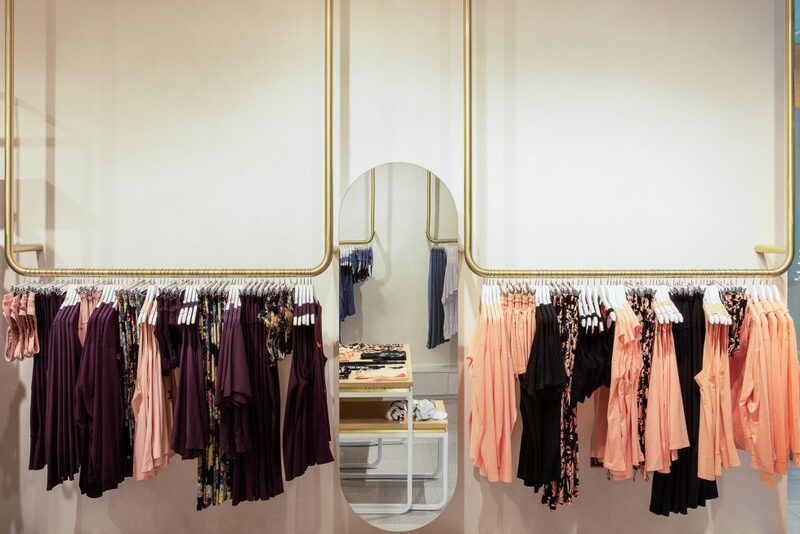 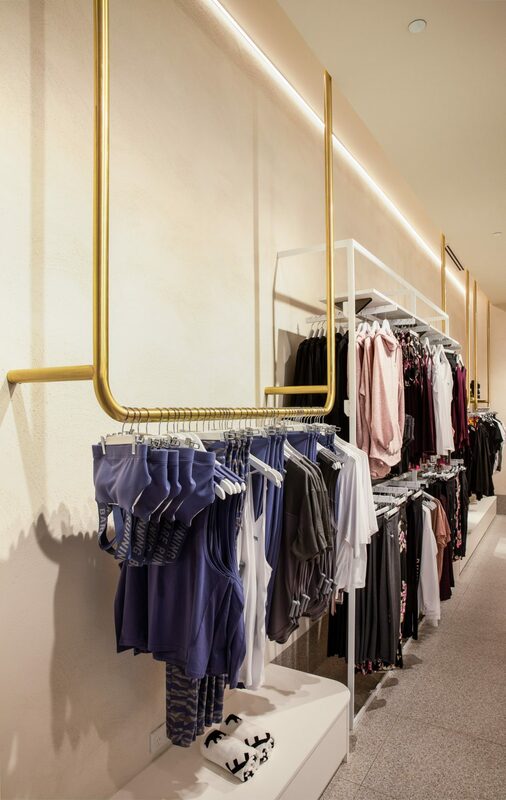 Bespoke brass details are echoed throughout the space in shadowgaps, hanging rails, signage and the arched portal into the luxe fitting rooms.